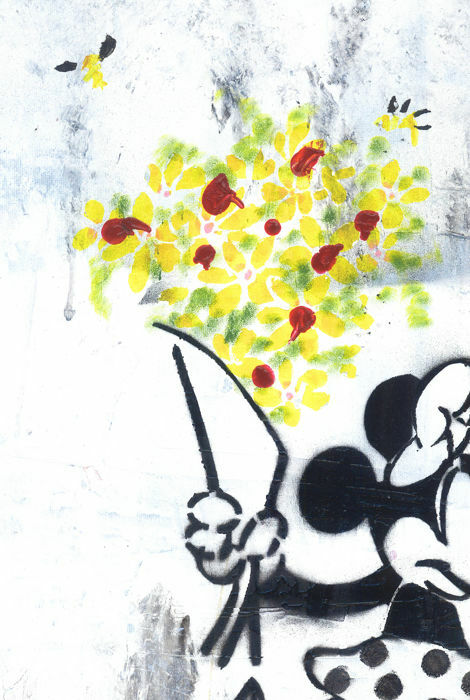 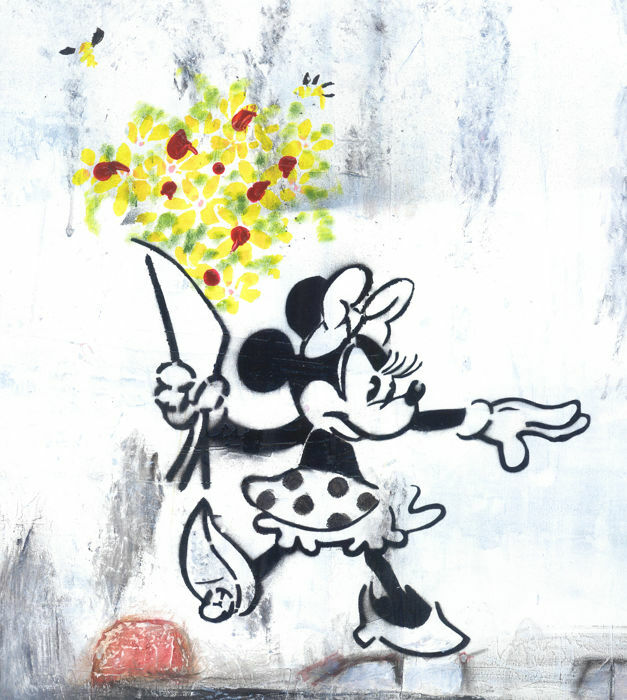 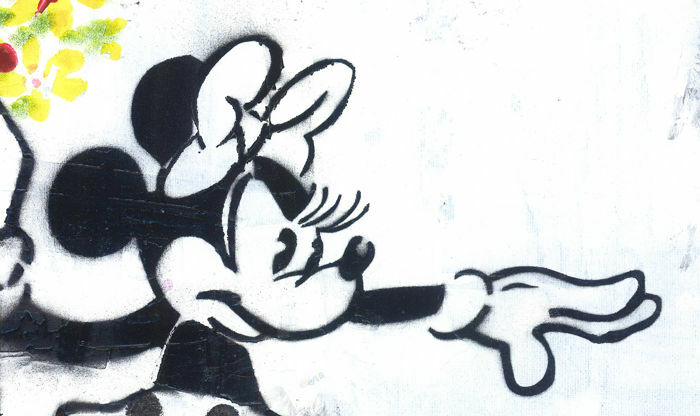 This sensational original artwork of Minnie Mousehas been inspired by urban artist Banksy and his famous Flower Thrower painting. 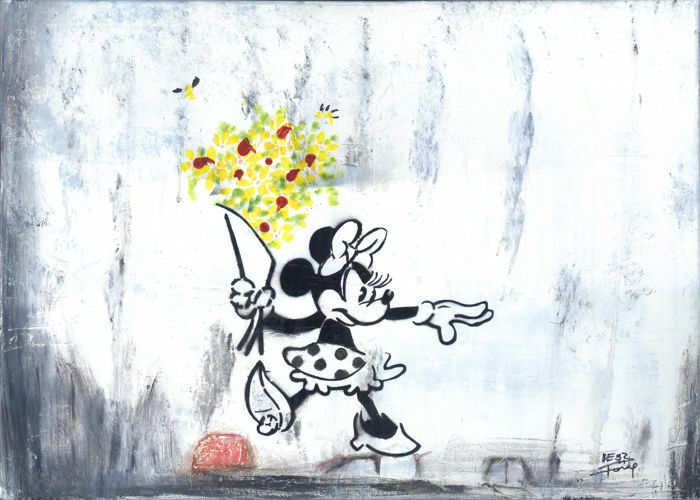 This explosive piece of art has been created using mixed media technique (putty, acrylics, stencil) on a canvas with a format of 70 x 50 cm. 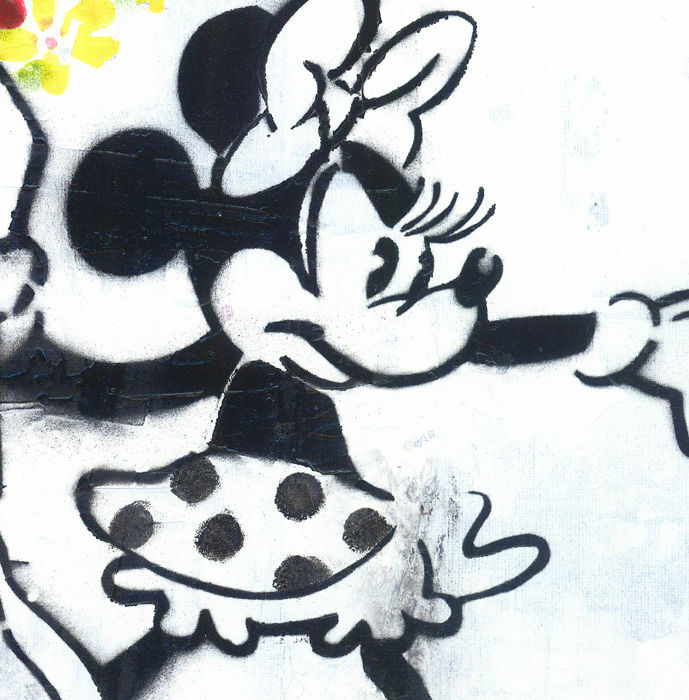 This is the magnificent result of the artistic collaboration between Disney artist Tony Fernandez and mixed media artist Meb Dessin. 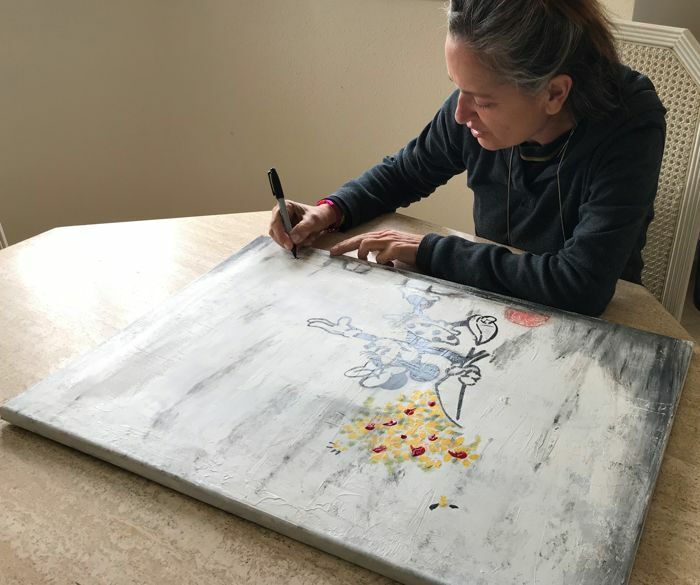 This brilliant original creation is the result of her collaboration with Tony Fernandez one of the most acclaimed Disney artist living in Europe who has been working for Disney Studios for more than 25 years. 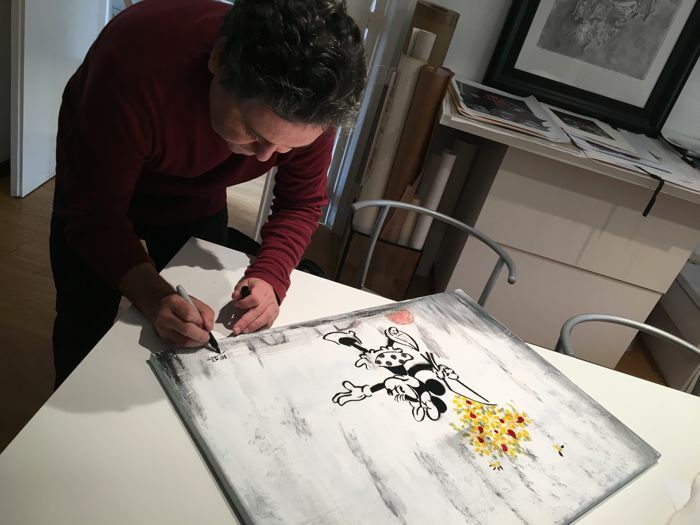 This unique piece is hand signed by both artists and includes Certificate of Authenticity.